Bus routes covering the urban and rural areas of Bedford. 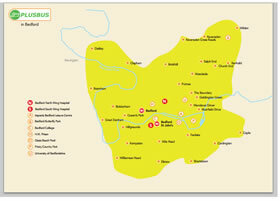 Bedford Borough has a wide network of bus routes that cover the whole of the urban area and lots of rural Bedford. The Villager provides services from North West Bedfordshire Villages to locations including Milton Keynes, Northampton, Peterborough and St Ives as well as to Sainsbury’s Clapham and other locations. Roadrunner - is a 16 seater bus that provides regular transport for villages and hamlets which have no or little other bus services. It is based in Kempston and is operated by volunteers. Door to Door - is a service for people who are unable to use public transport and has wheelchair accessible minibuses. The service is provided for many different types of journeys such as visiting friends or relatives, to get to work or travel into the town centre. To use the service you need to register first. Whitbread Wanderbus - is a Bedfordshire based local community bus service that run a scheduled weekly, bi-weekly or monthly public service. It picks passengers up from in and around villages centred on Shefford and travel to and from local shopping centres, libraries and other amenities. Ivel Sprinter - is a voluntary Community Bus service operated by theEast Beds Community Bus Ltd. The service provides local journeys as well as weekly or monthly trips to Cambridge, St Neots and Bedford. Flittabus Community Transport - is a non-profit organisation, run and operated by volunteers. It provides transport facilities to town and village communities throughout mid-Bedfordshire via a scheduled timetable which covers eleven routes. Tickets can be bought on the bus for a single journey (bus drivers appreciate the correct change if possible). 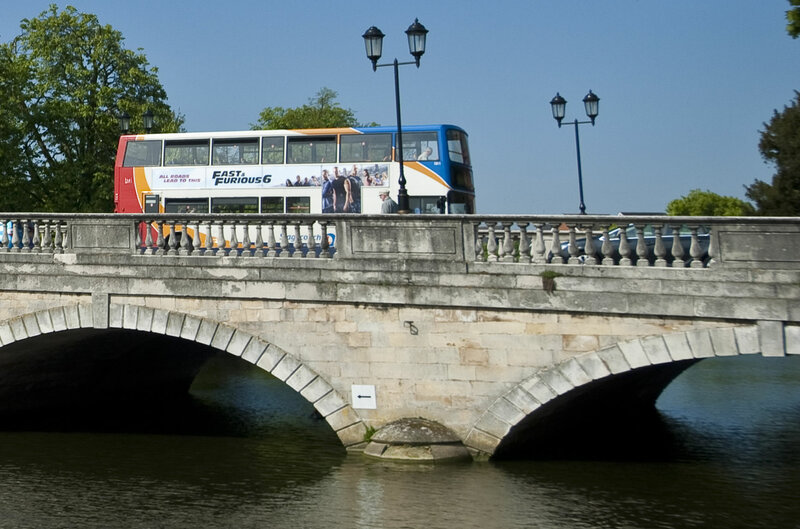 Alternatively, Stagecoach offer daily, weekly and monthly tickets covering Bedford or the wider area. Buying a weekly or longer period ticket is cheaper than buying a ticket every day, and you do not have to worry about finding change.